Here we are. With 2010 closing up, a music blogger would traditionnally publish his top 10. This is tough job. I’ve gone through countless records this year but few have remained for long on my ipod. 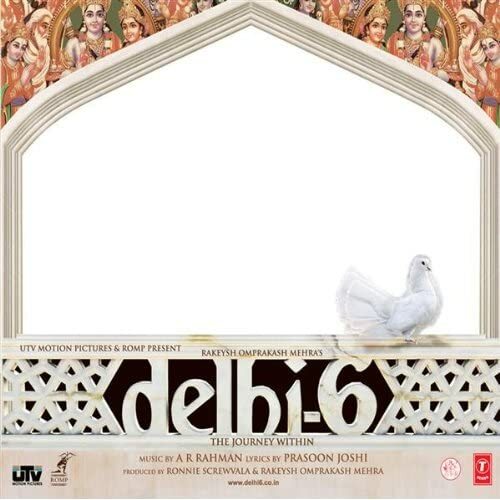 In fact, I cannot really make a top 10 while knowing since January 2009 that nobody would make a better album than Delhi-6 other than A.R. Rahman himself. Let’s say, Blue just didn’t reach that level. So yes, the winner is *drumroll* A.R. Rahman for Delhi-6 ! These are the songs I’ve listened to and sung the most. In fact, Rehna Tu is the best song of the year, in my opinion. Remember, this represents solely my musical taste. I’ve been trying since the later half of this year to single out my monthly best. These albums, plus my listening stats at lastfm, have been useful in drafting this top of 2009. You’re most welcome to refute my choice. If there’s something I’ve missed, please add it in the comments. Obviously, each person is listening to something else on his ipod. We are all in our own micro-genres. I love this diversity, but I’d also like this diversity to be shared. Never be ashamed of your musical taste. Amit Trivedi: He has brought much needed fresh tunes to Indian cinema. He’s been called the next Rahman since Dev.D and he deserves it. Justin Vernon: Bon Iver’s For Emma, Forever Ago (2008) could easily make it to the best of the decade. So bad, I was late to discover it. Thankfully, Volcano Choir didn’t deceive either with Unmap. Piyush Mishra: This actor/composer/dialogue writer/lyricist and what else should be showered with awards for his work with Anurag Kashyap for the movie Gulaal. The Dodos: I particularly enjoyed Time to Die. While most credit has gone to Animal Collective this year in the psychedelic folk genre, I’ve been mostly drawn to this little energetic band which goes with less instruments for a greater effect. Kailash Kher: I didn’t listen to a lot a Indipop this year but Kailasa Chaandan Mein was one of the few. It took me some time to enjoy the songs. Now I keep adding stars to them every now and then. Third album and the band is still going strong! That’s it. 30+ records for you to check out and for me to enjoy again. !!! I've stopped updating this blog and moved the posts to Tumblr. !!! Hi there! Welcome to my blog. I'm a medical student in Bordeaux, France. I discuss music, web apps, medicine, and my homeland Mauritius in a queer mixture of English, French, Creole and Hindi. For daily updates, check out adarsh.me and my twitter. Thanks for stopping by ! Back after almost an year, thanks to Gopi Sundar's Malayalam song!